Century Cycles Blog: Bike To Breakfast at Herb's Tavern of Rocky River! 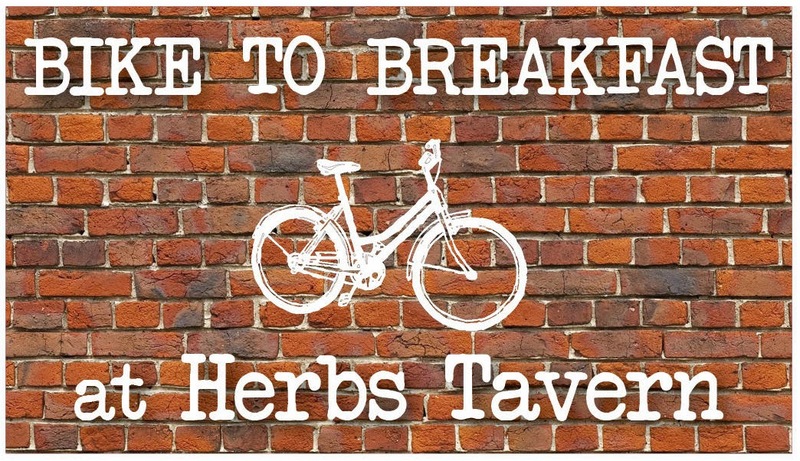 Bike To Breakfast at Herb's Tavern of Rocky River! 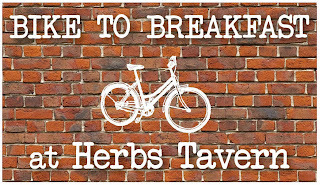 Bike To Breakfast returns again this year to Herb's Tavern! Ride your bike to Herb's for breakfast and enjoy 10% OFF your bill! Every time you ride, you get an entry to win great prizes, including the grand prize of a new bicycle! Prize drawings will be held at the closing party on August, 14, 2016 (must be present to win). The Bike To Breakfast offer is valid on Saturdays from 8:00-11:30am, and Sundays 8:00am-1:00pm, now through August 14, 2016. Herb's Tavern is located at 19925 Detroit Road, Rocky River, OH 44116, right next door to the Century Cycles store! It's National Bike To School Day! Join the National Bike Challenge!